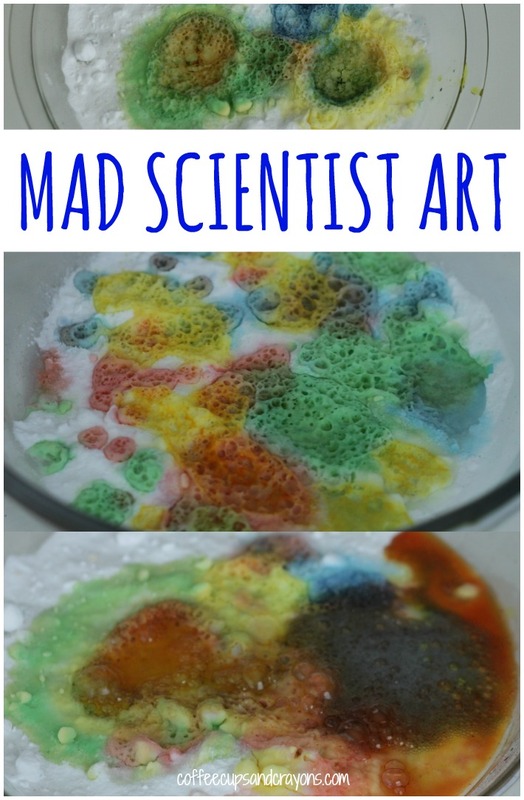 Turn your kids into Mad Scientists! 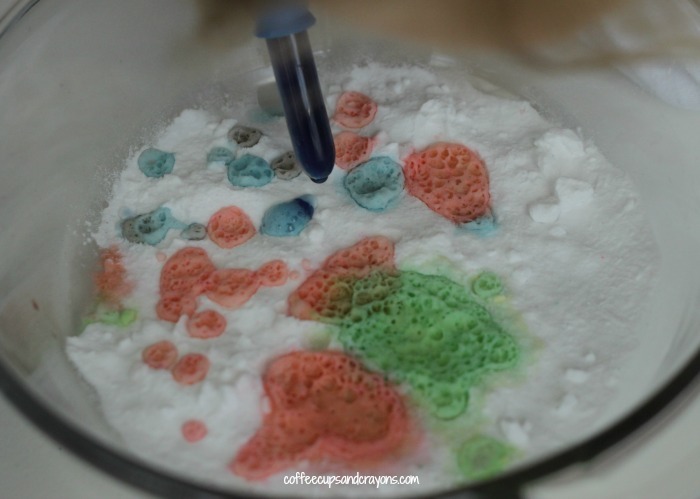 This preschool science and art activity is a favorite with all of my kids. 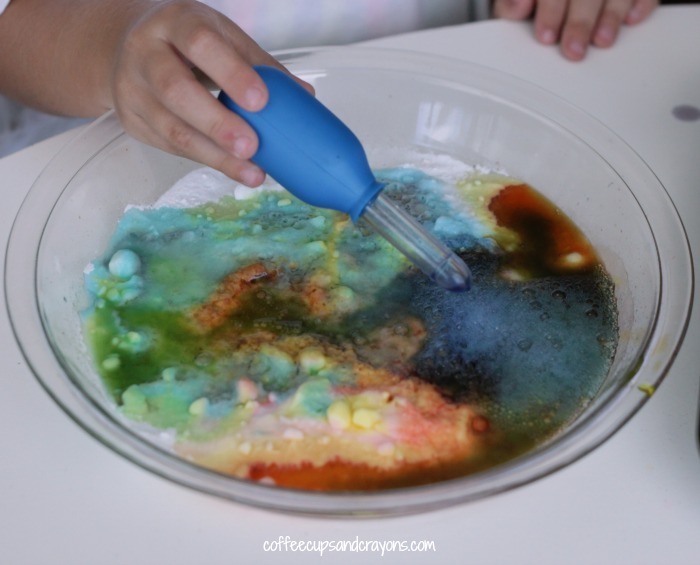 You use colorful vinegar and baking soda to create bubbling masterpieces. 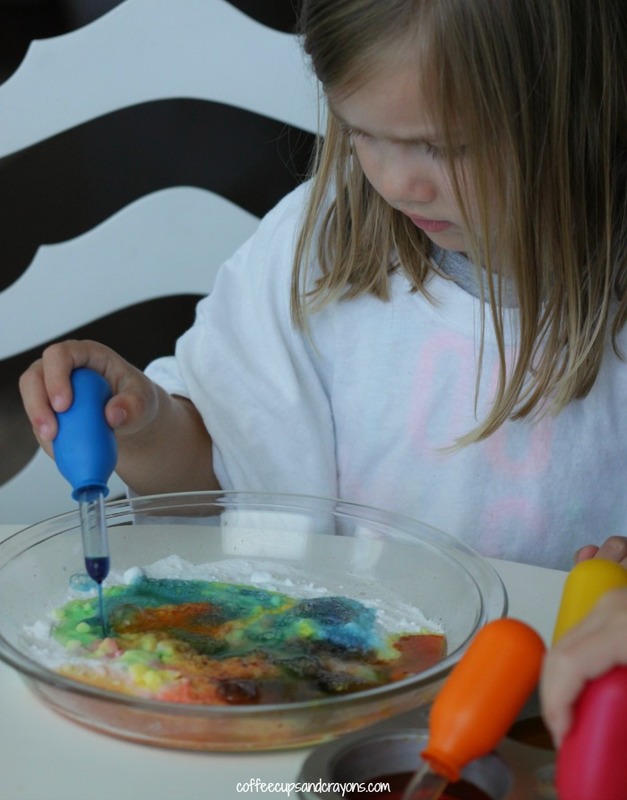 We usually use liquid watercolors because they are both washable and vibrant which are two things I like in a preschool activity! The day these photos were taken we used food coloring and our smocks were definitely needed to avoid stained clothes. 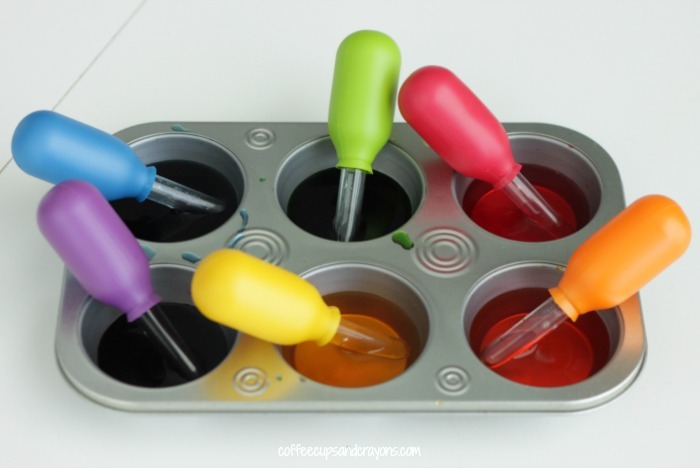 Put a drop or two of the food coloring or liquid watercolors in the bottom of the muffin tins and add vinegar. If you aren’t familiar with liquid watercolors I’ve been using the Colorations brand for years and just ordered these Sargent Art Fluorescent Watercolor Set (affiliate link) after hearing they were just as good. Once the vinegar is ready spread a layer of baking soda across the bottom of the dish and let the kids start creating! It’s so much fun to see the colors mix together and bubble and fizz. If you’ve never tried this before you’ll be amazed at how long this keeps kids entertained. Where did you get your pipettes from? I have longer ones that often result in too much liquid being applied to some projects. I really like the shorter ones you have! I ordered ours from Amazon let me know if you can’t find them!